Our New York program provides you with an international business toolkit to succeed in an increasingly competitive labour market. It’s a golden opportunity to learn about American business practices and gain exposure to US culture and the US legal environment. You will develop your skills and experience, expand your professional network and have the opportunity to travel. Although we work with a number of law firms, we also have placements in a wide range of industries and departments, so this could be an opportunity to branch out. Employment prospects following Mountbatten’s New York program are outstanding. Recent statistics show 86% of participants being employed within three months and 100% being employed within six months. Our interns also have the time of their lives. Follow us on social media to see what #MountbattenLife is all about! Mountbatten provides an all-inclusive package to ease the transition from your home country to New York. We are designated by the US Department of State to sponsor your visa. We also provide FREE accommodation and a monthly allowance of $1,275 to help you make the most of the NYC experience. The Mountbatten Program encourages cultural integration through a calendar of events, activities and volunteer opportunities. 12 months of cumulative, office-based/administrative work experience (can be a combination of summer internships/part-time work). If you are still within one year of graduation, less experience may be considered. A degree from a post-secondary academic institution outside the United States and with a classification of 2:2 or above (UK system) or local equivalent. Fluency in English (see website for language requirements). 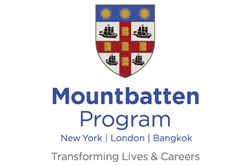 Please feel free to contact Carrie Southgate, Admissions Director, directly at csouthgate@mountbatten.org to discuss any questions you may have about the program. You can also see what some of our legal placements are like by reading Harpreet Kaur’s “Alum of the Month” article here. She was placed at Skarzynski Black LLC and got exposure to a live US court experience, among other high-profile litigation cases. The deadline to apply for March 2019 has been EXTENDED to Sunday 11 November 2018 (11.59 pm). Apply online via the company website here: http://www.mountbatten.org/nyc-how-to-apply.